Welcome to Empire Steak House Grand Opening in Roppongi on October 17th, 2017!! Welcome to Empire Steak House’s first overseas experience! 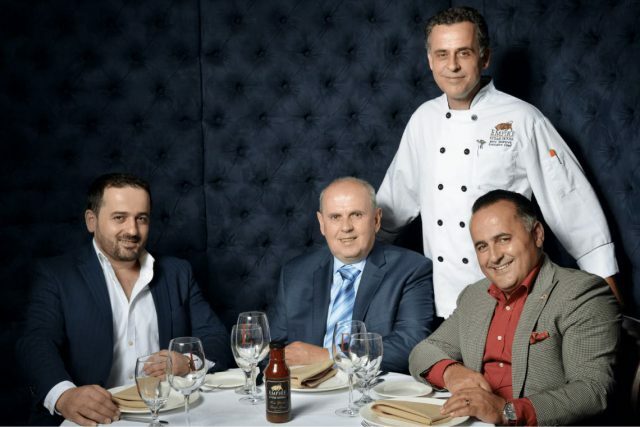 Empire Steak House opened its doors in New York City in 2010, by brothers Jack and Russ Sinanj. along with being awarded Wine Spectators Award of Excellence for three consecutive years. We are proud to announce, that Empire Steak House will be opening its doors in Japan, where diners will enjoy The New York steakhouse experience at its finest. Diners will be lured in by our succulent, thick cut Porterhouse Steaks, dry aged in our very own coolers under extensive care for 21～30 days, then grilled in our custom made broilers at a temperature of 900℃. Browse through our professional yet unintimidating wine list of over 1000 bottles collected worldwide. a match made in Heaven for even the most critical of taste buds. 1920’S NEW YORK CITY- RECREATED. Empire Steak House is sure to please all the senses. 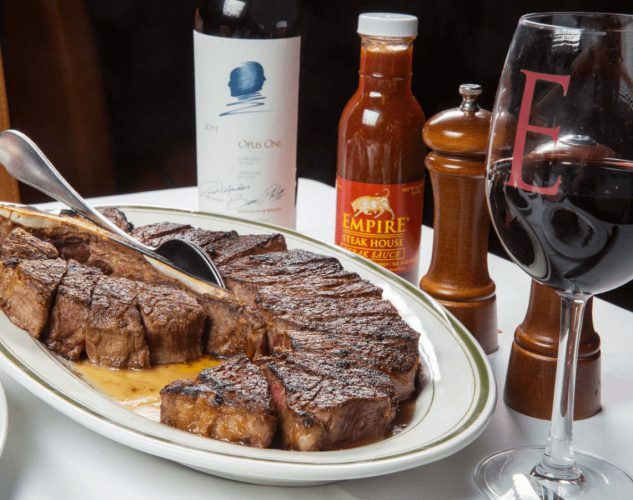 Dine and Wine at Empire Steak House Roppongi, where cultures and flavors combine! “Imoarai-zaka”, where we are located, is steps from the Roppongi Intersection. We accept reservations for parties, various meetings, events and special occasions. Copyright © TFM Co.Ltd. All Rights Reserved.